This stretchable clam bake bag is ideal for boiling and steaming clams, shellfish, hot dogs, potatoes, onions, and other clam bake specialties! Each clam bake bag is stretchable. Height: 16" Width: 1 1/2"
Good for steaming or boiling Clams, Oysters, Lobsters, Crawfish, Crayfish, Shrimp, Vegetables and much more. 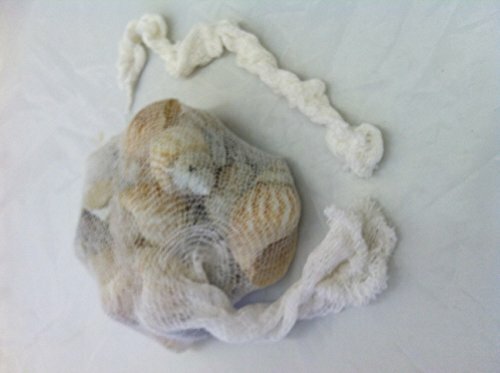 We also offer 18" and 24" Clam bags on Amazon. If you have any questions about this product by TM, contact us by completing and submitting the form below. If you are looking for a specif part number, please include it with your message. 4 Pieces Fish Bone Tweezers Set, Two 4.6" Stainless Steel Tweezer and Two 5.5" Tongs for Cooking Food Design styling.